The contractors have been busy working on the upstairs bathroom renovation for the past month. 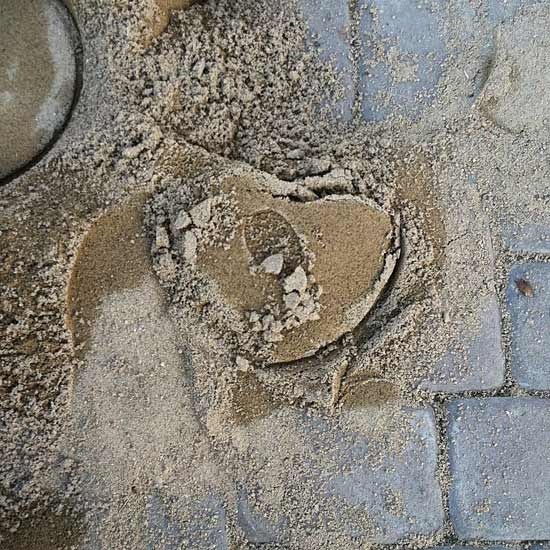 This pile of sand was outside and I noticed the heart when I was leaving one morning. They are hoping to finish by the end of 2013. It will be so nice to have all new plumbing and fixtures and finishes.